The measurements all depend on how you like the consistency to be but the main ingredient are the berries! Step 1: mash up the strawberries. You can do them by hand or even puree them in a food processor I prefer pureed berries for this. Step 2: squeeze in little bit of the lemon. The lemon will act as a preservative letting you store the mask for future use and it’s also a chemical exfoliate that removes dead skin cells. Step 3: next mix in the honey. Honey is a natural moisturizer and also brightens the skin complexion it also has anti bacterial properties to clear out bacteria just like strawberries. Step 4: finally mix the above mixture with the yogurt. The yogurt is to bring the mask to a consistency that’s easy to apply and also it has good things of its own such as fighting bacteria! I recommend using non fat yogurt. If you feel that you mask is runny, add in a teaspoon of corn starch to ring it together. To prep your skin I recommend you cleanse your face then steam with warm water for about 10 minutes to open your face. 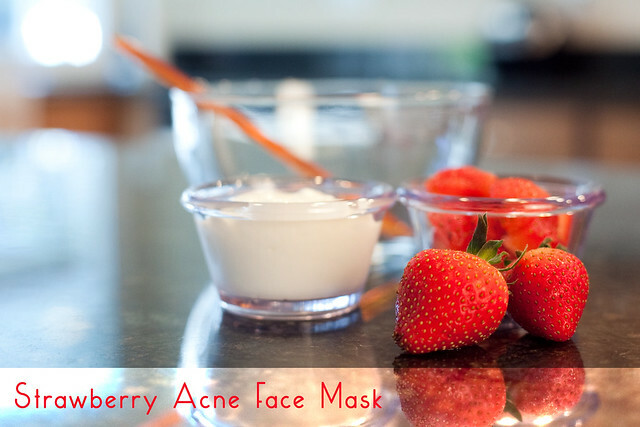 Then apply your mask evenly avoiding the eye area and let it sit for about 15 minutes and wash it off with warm water. Do not forget to apply moisturizer afterwards! Lovely clicks Jeesh. Will try this out!